Paranormal Spotlight and a Rafflecopter Giveaway from The Wild Rose Press! My publisher, The Wild Rose Press is holding a Rafflecopter Giveaway this week. Just follow the rafflecopter link below for a chance to win a $10 gift certificate to The Wild Rose Press. Each week, there will be a new code and a new winner chosen from entries selected from participating bloggers who choose to promote some of the fabulous books from The Wild Rose Press authors. 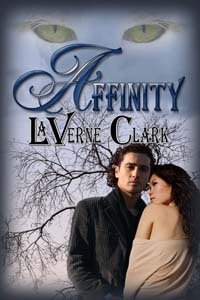 This week, I am spotlighting Affinity by New Zealand author LaVerne Clark because it is a fun paranormal romance and now, Ms. Clark has a sequel I am dying to read. So, check out Affinity and let me know what you think. And don’t forget to enter the Rafflecopter drawing. Who knows? You might win the gift certificate so you can go back and by LaVerne’s second book, Beyond the Shadows, which I have downloaded but not yet read. Here’s a sneak peak at Affinity! In the wrong hands, Jenna Thomas’s legacy could be a curse—in her mind it already is. As a child, a routine x-ray awakened an abnormality in Jenna’s DNA, giving her the ability to “call” creatures and take on their attributes. Labeled a freak since then, Jenna’s learned to keep everyone at a distance. But all that changes the day she saves a young boy from drowning and the story goes viral. “Back off everyone, give us room,” boomed Nick with authority. Everyone took a step back. An attractive woman holding a microphone stepped into the created space. Her phony smile flashed teeth like a shark. Circling, she came in for the kill, her cameraman capturing the moment. The questions fired at her like a volley of bullets. Jenna flinched as each one hit its mark. She couldn’t answer honestly without sounding like a freak. So she said nothing, burying her head into Nick’s chest. His arms tightened around her. The subtle turning of his body shielded her from all those eyes. “Could you at least give me a little snippet, Sergeant Hawke?” pouted the reporter, pushing her chest out and fluttering her lashes. Jenna’s spine went rigid. A sick feeling of dread settled in the pit of her belly. Police. Nick is a policeman. Dear God, I’m in trouble. Her head pounded and her hands shook. His arm tightened when she tried to pull away, holding her firmly in place. Any other person she could have fobbed off. Now she understood his aura of authority, his all-seeing gaze and concern at the thought of a child left alone in her car. He would be relentless uncovering the truth. You can find Affinity and other great paranormal stories (even mine) at The Wild Rose Press. And don’t forget! Follow the Rafflecopter Link below to register for a chance to WIN!! I still haven’t got to read Affinity yet. 😦 But then, I have a LOT of TWRP books I have, but have not read yet. 🙂 I love her cover. I won a contest of hers when the book first released and got a coffee mug with the cover image on it. LOVE it! Calisa, I know what you mean! I have so many wonderful books and so little time to read. Barbara, if you find time to read LaVerne’s book, I’m sure you’ll love it as much as I did. 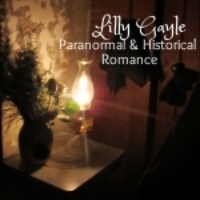 I never thought I would like Paranormal books, but after reading Lilly’s books, I have changed my mind. I have Beyond The Shadows, but haven’t had a chance to read LaVerne’s book. Affinity sounds very intriguing! Lilly and Laverne,both of you are amazing people! You are too sweet, Becky. Glad you liked the Darkness Series, LaVerne. I have GOT to finish book 3 soon!!! Loved, loved, loved Affinity. I’m reading Beyond the Shadows now. Love me some LaVerne Clark! Eeek! I’m feeling all sweaty now, Mac! 😀 You know I love ya and your books right back!